Summer is half over already. Some kids were able to attend summer camps, some didn’t. There are several factors that could make traditional sleep-away summer camp a less-than-ideal choice for some families, such as the age and temperament of children and the significant financial burden that such camps can impose. Very young children are typically excluded from sleep-away camps automatically, while older kids who do meet age requirements may balk at the idea of spending an extended period of time away from their families and friends. The anxiety and stress that often accompanies homesickness is likely to make parents consider the expense of summer camp an unwise investment, as many summer camps charge hundreds of dollars in fees, even before the added expense of buying supplies. Here are ten great alternatives for parents who want to keep their children occupied and engaged during summer vacation without sending them to pricey and distant summer camp. 1. Volunteer Programs – Older children can learn a sense of civic responsibility and the importance of helping others by spending part of their summer participating in a local volunteer program. Animal lovers among the smaller set may be thrilled with the idea of helping at a local animal shelter, while others may enjoy working with a local charity or visiting a local retirement community. 2. Community Day Camps – Community centers in most cities offer summer day camp programs, allowing kids to enjoy all of the fun activities that are a part of a sleep-away camp without the stress of spending weeks away from the familiarity of home. 3. 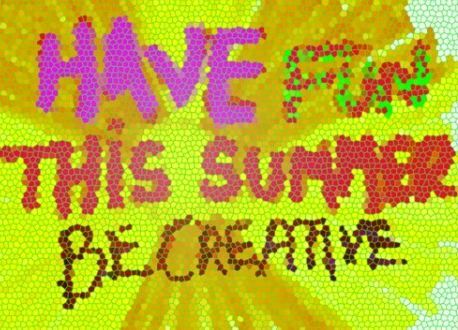 Religious Summer Programs – Many places of worship offer vacation workshops and other similar programs with a theme of religious instruction during summertime, which may be an ideal choice for devout families. Kids can spend the summer among peers who share their spirituality, learning about their family’s belief system through arts and crafts, story time, and other kid-friendly activities. 4. Arts Workshops – Many art museums offer programs specifically tailored to budding art aficionados; local universities may also host summer programs for children staffed by students with education or arts majors. University programs may include visual art, musical instruction, or theater programs, depending upon your area. 5. Sports Clinics – Pint-sized athletes are sure to love spending the summer honing their skills, which makes a local sports clinic the ideal choice. These programs keep kids physically active, which is a huge plus for parents who are concerned about the sedentary lifestyle that many children adopt when school ends. Rather than spending hours in front of the television or the computer, kids who participate in a sports clinic can enjoy fresh air, sunshine, and exercise while becoming stronger and more skilled athletes. 6. Academic Programs – During summer vacation many school systems still offer programs for academically gifted children. Some programs even focus on peer-tutoring, allowing more advanced students to offer assistance to classmates who struggle in some areas, which can build a sense of social consciousness. Alternatively, many programs feature an emphasis on building and expanding gifted kids’ already-impressive knowledge base. 7. Scouting – While the Boy Scouts and Girl Scouts of America do have summer camps for their troop members scattered across the country, plenty of troops stay home during summer vacation to participate in locally-based scouting activities. School vacations provide active scouts with the opportunity to earn merit badges and other achievements, which can be difficult to do during the hectic school year. 8. Family Day Trips – Families can spend their summer vacation taking a series of fun and exciting day trips. Visiting the zoo, the park, or a children’s center during the dog days of summer are surefire cures for the boredom and inertia that often sets in around mid-July. 9. Visiting Extended Family – Today’s families tend to be more spread out than in previous generations, so kids might not get to spend as much time with members of their extended family as they would like. While spending a few weeks at summer camp might be daunting for some kids, visiting a favorite family member during summer vacation might not be as stressful. 10. Family Camping Trips – Skipping a sleep-away summer camp doesn’t mean that kids have to forgo the camping experience altogether; outdoorsy families can plan a camping trip that keeps everyone together and costs far less than sleep-away camp fees. Summer vacation can be a particularly trying time for two-working-parent households, or single-parent households in which that parent is employed outside of the home. Parents who depend upon school to meet the bulk of their childcare needs might benefit from engaging a temporary nanny during the summer months; an experienced nanny is a wealth of summertime-diversion knowledge, and is likely to be more than capable of keeping your kids off the couch and away from the computer during their school break. 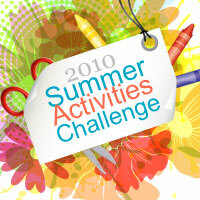 Summer ideas and a great way to get your teens involved! One of the best ways to become a productive citizen is through involvement with various community projects and organizations. Every American community will have its own flavor of local organizations, and it’s simply a matter of finding out which ones are around to participate in. There are also a series of programs that are available in most places in America, and anyone who wants to be a good citizen can join. The main goal in joining these organizations is to connect with other people in your community while promoting a good cause. One of the most popular and effective community organizations is the Neighborhood Watch Program™. The Neighborhood Watch™ is great to become a productive citizen because it is one of the best ways to connect members of a community in a unified crime prevention effort. If your area lacks a Neighborhood Watch Program™, then you can easily start one. All you need to do is gather a group of local neighbors who are concerned with community safety, inform the local police of your intentions, and get started with a new Watch program. The police will often arrange a meeting with Watch members and you can hash out exactly what kind of organization you w ant to run and figure out how you will work in cooperation with law enforcement. Then it is simply a matter of registering at the Neighborhood Watch Program™ web site. The Neighborhood Watch™ is the perfect way to start your journey as a productive citizen because the Watch brings neighbors together as they gather for meetings and discussions on community safety. These meetings help keep the community informed of danger while promoting healthy neighborhood communication. Proper citizenship relies on participation, and the Neighborhood Watch™ doesn’t merely help connect neighbors but also helps protect your neighborhood from crime. Once becoming a part of the National Neighborhood Watch™ network, you can hold regular meetings and spread information through pamphlets and training techniques that the national organization sends you, this way you can help lead your entire community to a safer way of living, and as everyone looks out for each other it promotes a greater sense of community. Another great option for community involvement involves local recycling programs. There are always recycling programs available to join in communities, often run through local school systems. Joining these programs is easy and helps promote an eco-friendly community view. You can even set up a compost system in your own backyard or through the recycling program. Compost provides some of the best soil you can ever produce and is a great way to recycle and reuse your waist products. Becoming involved in these types of earth friendly activities helps show your children and the community that saving waste can help keep a community clean and isn’t even that difficult too do. If you are working on a compost system, you can use it to create a community garden in a local park; this can promote community unity and help beautify the area. People in the community will look up to you when working on these type of recycling projects, especially if you use them to create something more than just recycling, like a community garden. Creating this type of end product for your work to accumulate towards can solidify the idea of a good citizen in the minds of those who actually see you in action. There are a variety of Red Cross™ branches and splinter groups spread across communities throughout the United States, and it’s a good idea for serious citizens to become involved in at least some of them. There are a variety of different ways to become involved in Red Cross organizations, depending on your desired level of participation. Donating blood at a local Red Cross™ blood drive is a great way to become involved. Blood donations save the lives of large numbers of people each year are some of the easiest, but most rewarding forms of participation a good citizen can undertake. Truly dedicated citizens may take their involvement one step further and volunteer at a blood drive or a Red Cross™ homeless shelter. There are a variety of programs and events going on through Red Cross™ that don’t take much work, but do a lot of good, and these programs impart a powerful sense of pride in those that participate. Volunteering with Red Cross™ not only shows leadership and drive but helps aid those who need it the most. Working with the Red Cross™ on any level affects a much larger number of people then you might think and can help bring others in your community to the same level of involvement. The most important action a good citizen can do is serving as an example for others to follow, and there is no better way than volunteering with a local Red Cross™ organization.